Have been discussing zinc and its importance in the human body. You may have heard that celery and sometimes other vegetables take more energy to chew and digest than the energy contained in the vegetable. I don't know if this is true of not...... but it makes a good story. However this is not to say that these vegetables are low in nutrients as this post discusses. I purchased on trademe over the weekend a already open 25kg of zinc sulfate of trademe for $1. From the weight of the bag I would suspect at least 15kg in it. Undertaking some calculations I only need 1kg every year to apply to all areas of our section. This was recommended to be sprayed on. As I only have a sprayer unit for nasty poisons (eg stuff to kill bamboo and prickles in lawn) I wasn't going to use this sprayer on my fruit and vege's. Therefore I mixed the zinc in with some sand to make it easier to spread and loosely sprinkled it around the fruit trees and over vegetable areas. So if you ever need any zinc feel free to ask! So it was interest that I came across an article about zinc in lettuces. Zinc levels in lettuce were found to be 8.5 micro grams or zinc per gram of lettuce leaf. I don't know if this is a high level compared to other plants.... but if you eat a cupful (250ml) of lettuce as one of your 6 vege servings that you should be having, it would give 2 milligrams of zinc. Given that the RDI is in the 10-15 mg a day range, this is about 20% of your RDI intake. However this is assuming that your soil has zinc in it that the plants can use! I know my vege patch has zinc in it now! How about the vege's that you purchased this week, do you know if the soil they were grown in had adequate zinc levels? Along with the zinc, there were other trace elements like copper, boron, manganese, calcium, magnesium and sulfur. Although the levels were not given, this is good news. 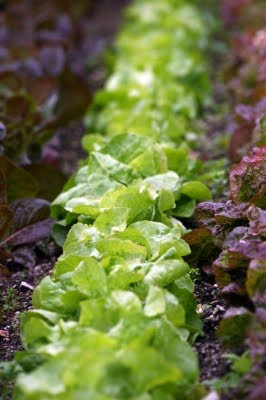 On the down side they found cadmium and lead in the lettuce, both toxic heavy metals as above the levels was not stated. This is concerning to me as have your food been grown in contaminated soil. I regularly drive past on my commute to Hamilton a organic vege sales at the gate "farm" however they grow the vege's very close to the road, so for decades as the traffic has bene pumped out lead from the fuel, this would have been building up in the soil. Traveling north the motor way runs through feilds of vegetables at Pokekoe where produce is grown for Auckland and NZ. When we were clearly the section we live one there was a pile of burnt rubbish. This rubbish included a burnt car battery, plastic and other rubbish. Clearly we removed this rubbish. However it concerns me that the soil could be contaminated, and the contamination being transported into the vege's we eat. The good news is that a section of our house covers about half of the area were the rubbish was burnt. And remainder has thick layer of mulch and is covered by my mint garden so hopefully between the mulch and the lower intake of mint compared to my vegetable patch will minimize any heavy metal accumulation in our food.